People seem to be pretty excited about Star Wars: Episode VII—The Force Awakens, as evidenced by the film’s smashing box-office success and fan-favorite status with over a month to go before most of the world has even seen it. With such a large audience expected for the December 18 release and following weeks, studios are naturally tripping over each other in an attempt to get trailers for their upcoming films stapled on top. 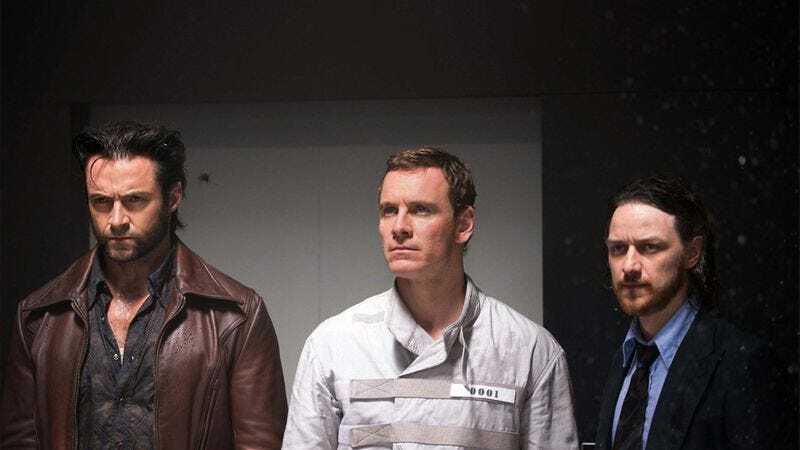 According to Collider, Fox has scored one of those coveted spots with the first trailer for X-Men: Apocalypse. Apocalypse co-writer and producer Simon Kinberg tells Collider, “It’s our first thing out there so it is somewhat of a teaser, but it’s certainly longer than a minute and it has a ton of cool stuff in it.” The film takes place a decade after the events of X-Men: Days Of Future Past and will introduce Oscar Isaac as Apocalypse, Game Of Thrones’ Sophie Turner as a young Jean Grey, and Kodi Smit-McPhee as Nightcrawler, among other fresh faces. This is Jennifer Lawrence’s final X-Men movie, but even though Hugh Jackman has promised the upcoming third Wolverine-centric X-Men film will be his last time playing the iconic character, don’t get too emotional about him yet. It’s been well documented that he has the same relationship with X-Men as Brett Favre did with the NFL.